For centuries, man has searched for a great northern passage that would expedite global trade. With climate change and the melting of the polar ice caps, the realization of a navigable northern passage is more likely than ever. However, along with the lucrative possibilities of increased shipping traffic, tourism, and resource extraction, receding ice also spells out a number of risks and precautions that ought to be heeded by the Arctic nations that are charged with the task of adapting to these changing conditions. Climate change is projected to cause sea level rise, which poses particular threats to seaports. 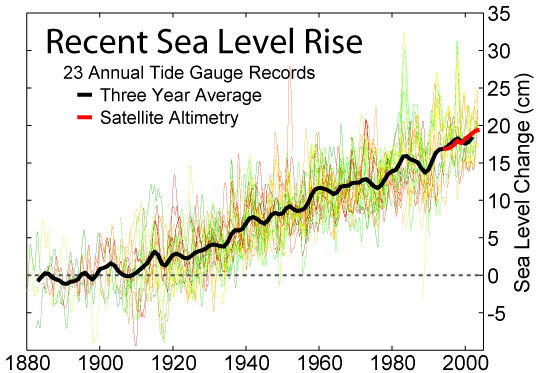 Estimates of the sea level change for a reasonable planning horizon range from 50 centimeters to close to 3 meters. In order to protect the world’s seaports from increased sea levels, additional coastal protection will be necessary.